Check out Tobi's Straight A Skater Dress Designed by Tobi. The Straight A Skater Dress is perfect for bringing sexiness to sophistication. Layered with a plunging crop top, this ensemble offers a modern twist to a traditional style. Stay sweet with a pair of flats or be flirty with chunky platform sandals. Designed by Tobi. 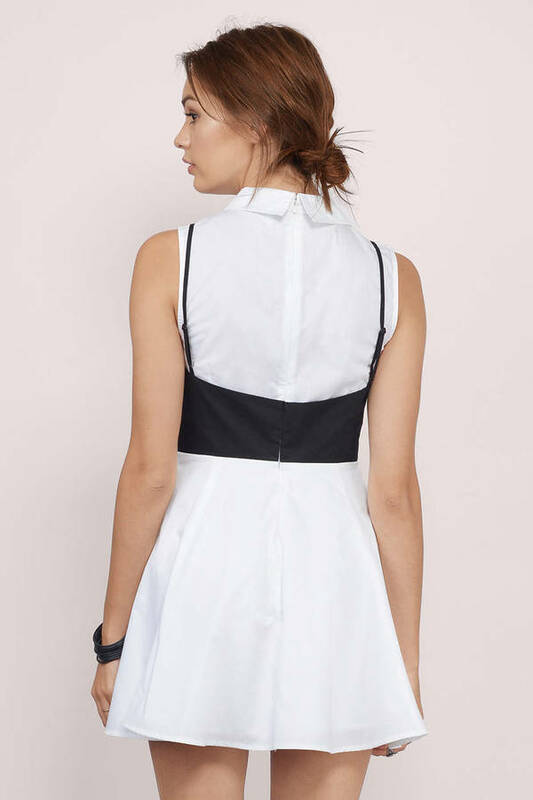 The Straight A Skater Dress is perfect for bringing sexiness to sophistication. Layered with a plunging crop top, this ensemble offers a modern twist to a traditional style. Stay sweet with a pair of flats or be flirty with chunky platform sandals.